The spectacular metallic finish of these board and text items brings sophistication and distinction to any printed piece. 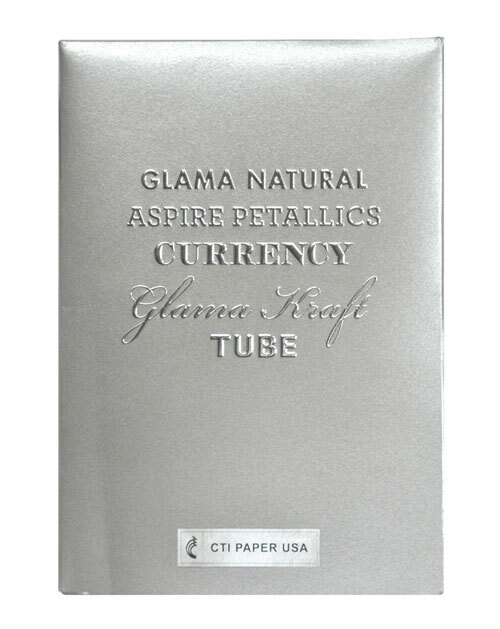 Currency’s one sided coating is designed for superior offset performance. Available in board as well as select items available in a coated one side 65 lb text weight, ideal for metallic label applications. Available in 10 pt. 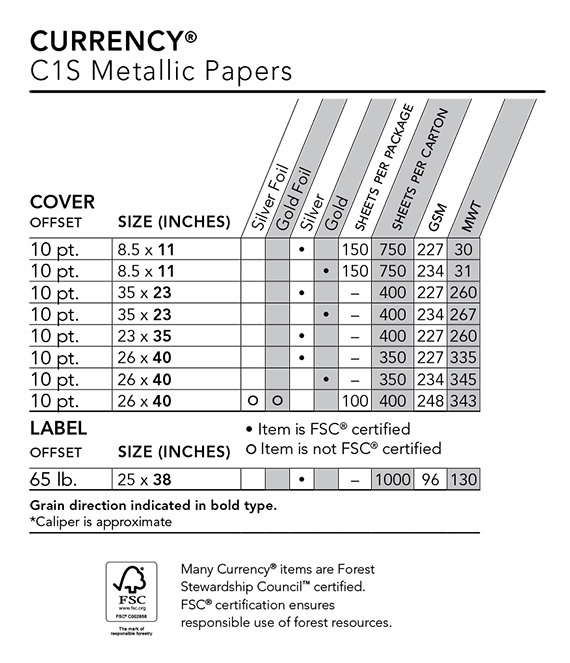 cover as well 65 lb text, many Currency items are FSC® Certified and all items are elemental chlorine free. 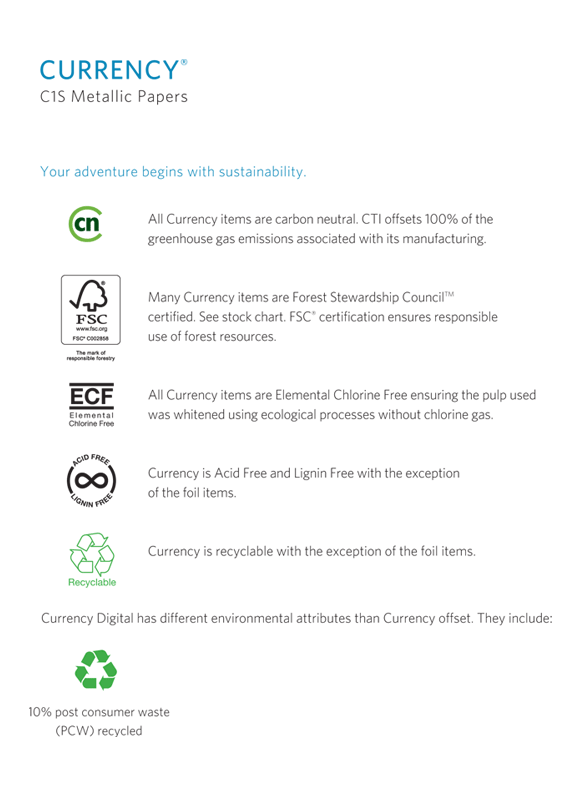 In addition Currency is acid free and recyclable with the exception of the foil items.